French Polynesia Vacation | Relax & Unwind on the Islands! Have you been thinking of planning a French Polynesia vacation? You’ve come to the right place – learn more about French Polynesia travel below! We can not only help you determine if it’s the destination for you, but we narrow down which islands are up your alley. Who should take a French Polynesia Vacation? Often when people say they want a “Bora Bora vacation” they may not know that they really want a French Polynesia vacation. French Polynesia travel includes Bora Bora, Moorea, Tahiti, and many lesser known islands, all of which offer a unique relaxation spot. 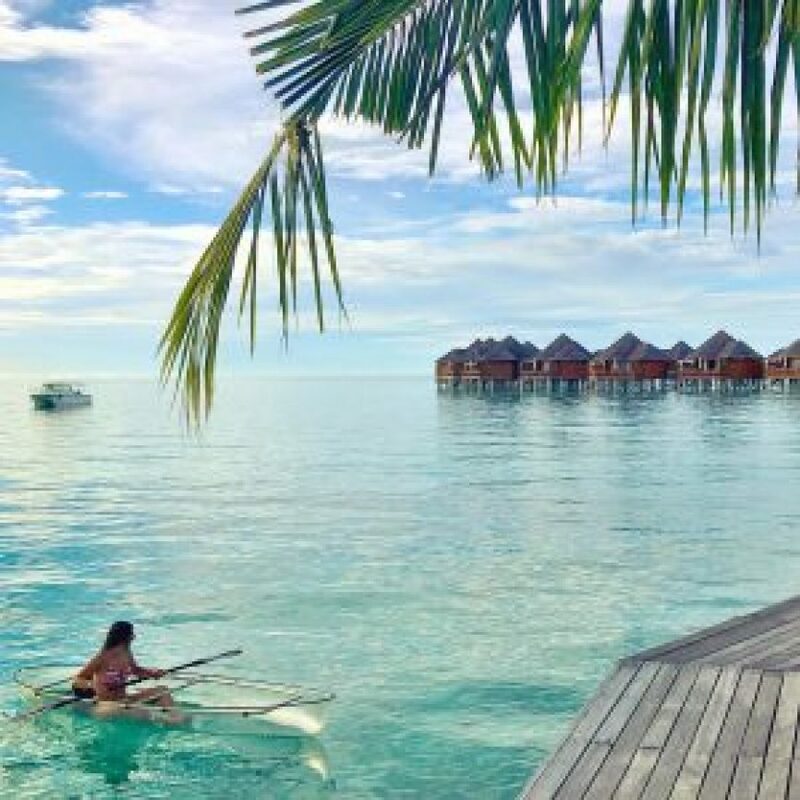 A typical vacation to this breathtaking destination includes island hopping to 2 or more French Polynesia resorts to ensure you have had an all inclusive French Polynesia experience. This group of islands is located south of the equator between Australia & South America. We typically book flights to Los Angeles where our clients can then hop on an eight and a half hour flight from LAX to Papeete. During your French Polynesian travel, you’ll see Mahina, Papeno’o, Maha’ena, Taravao, and more. French Polynesia is very much isolated, providing a true island getaway. What to do during a French Polynesia Vacation! When planning your vacation, it’s always good to know which islands are most suitable for you. Bora Bora is perfect for travelers seeking romance and for those wanting that picture perfect, crystal blue waters. Moorea, with its 8 mountain peaks and many land & water activities, is made for the adventurous traveler who wants to interact with nature. A lot of clients visit various French Polynesia resorts during their vacation in order to get a taste of all the different things French Polynesia has to offer. Why should Epperly Travel be your planning partner for your French Polynesia vacation? The team at Epperly Travel know French Polynesia travel like the back of our hands. Our agents are experts on Tahiti, several of our agents are even certified Tahiti Tiare specialists, a designation based on the number of travelers we’ve sent there and our knowledge on the region. We are cognizant of what it means to mix adventure with peace and quiet, and we love seeing that mix come to life in the trips we plan for clients going to French Polynesia. We prioritize personalization and we are able to create an experience that is reflective of the intimate nature of the islands for the couples that tend to come to us with an interest in this destination. Our French Polynesia contacts are a joy to work with and we are able to work with them to ensure your trip is what you wanted and then some. French Polynesia resorts tend to not be all-inclusive but we know where you should dine, what you should explore, and how to make it all happen. We value the opportunity to create French Polynesian adventures for our clients and we would love to create yours next! Reach out to us to begin creating today!